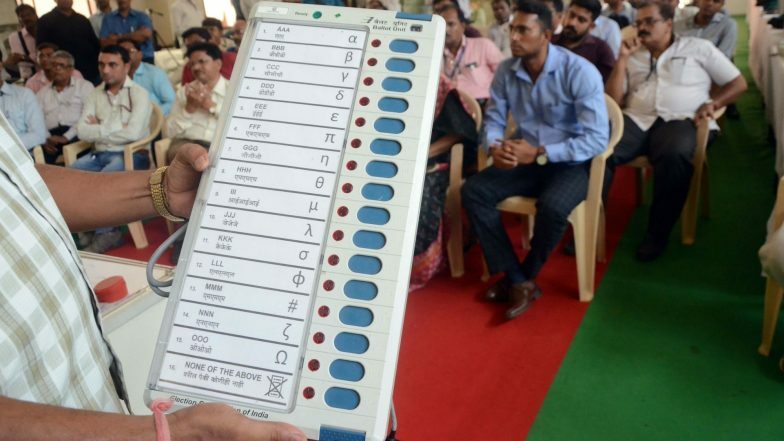 Nagpur, April 11: Glitches in VVPAT-EVMs marred voting in some polling stations, resulting in long queues of voters in the blistering heat on Thursday. The problems were found in Booth No. 127 (Gadchiroli-Chimur constituency), booth No. 147 (Yavatmal-Washim), with the electronic voting machines (EVMs) functioning extremely slowly and delaying the voting process. Lok Sabha Elections 2019 Phase-I Voting Live News Updates: Uttarakhand Witnesses 41.27% Polling Till 1 PM. There are reports of similar EVM issues from a polling station in Bhandara-Gondiya, details of which are awaited, he added. Thursday's polling started peacefully for seven Lok Sabha seats in Maharashtra in the first phase.